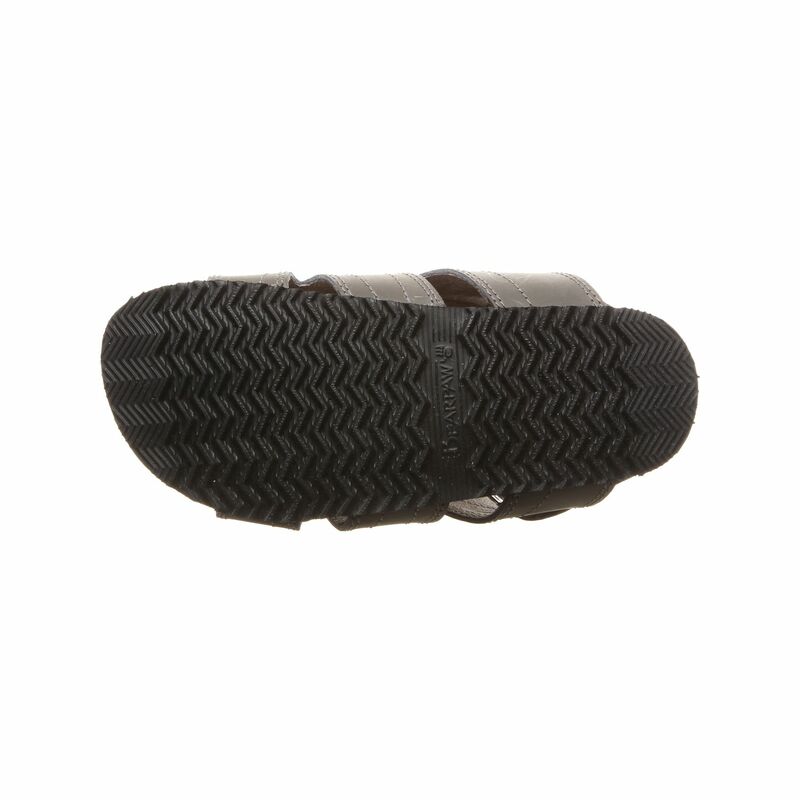 Bearpaw Galen Boy's Slide Sandal. 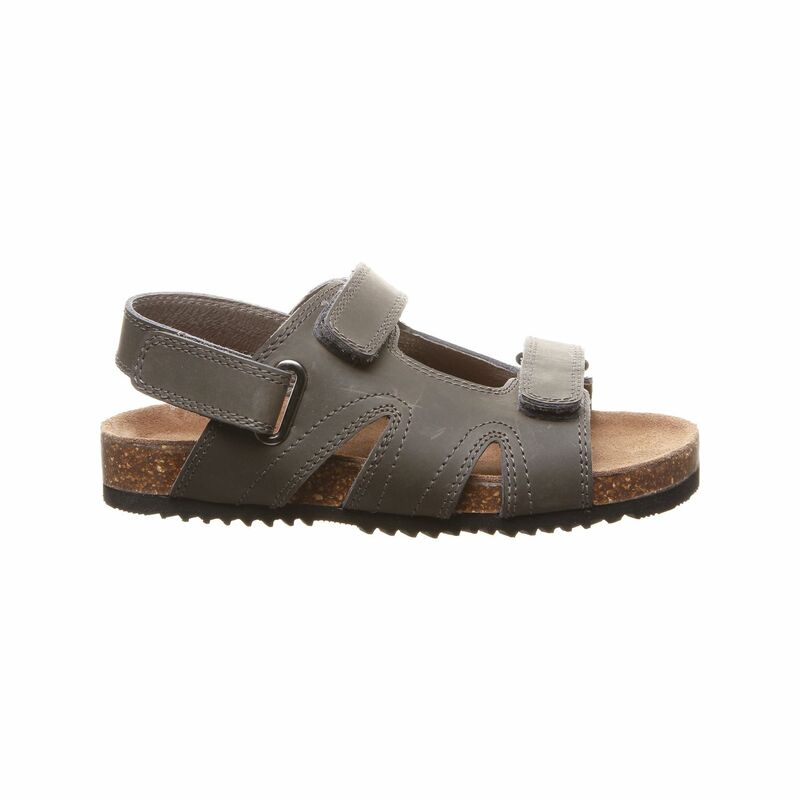 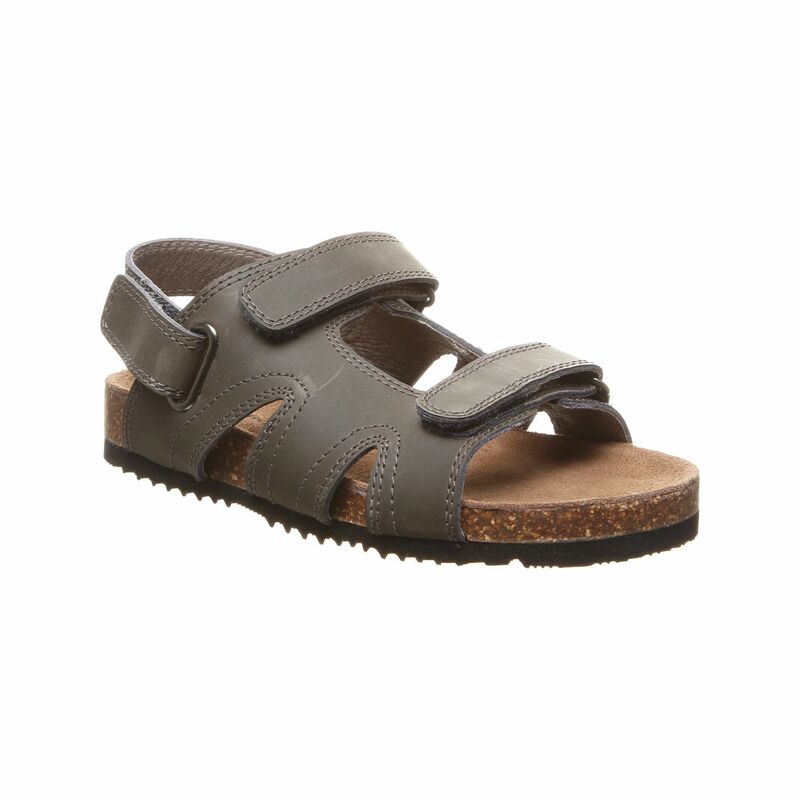 Casual faux leather sandal with open side panels offers breathability and versatility to your little guys warm weather wardrobe. 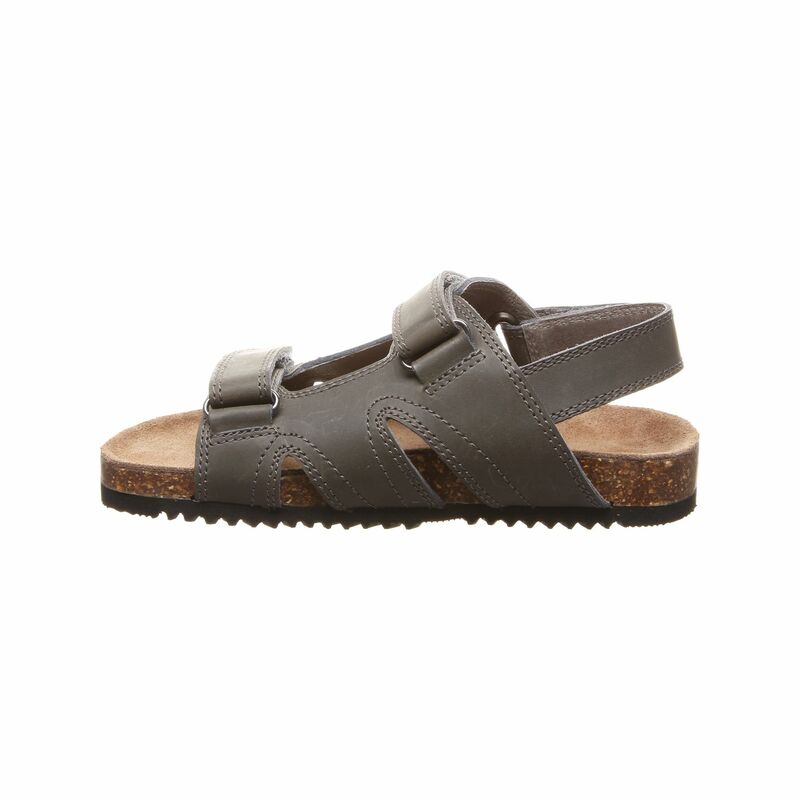 Contoured microsuede footbed for support and comfort.